Local Initiatives for Biodiversity, Research, and Development (LI-BIRD) is a non-governmental organization (NGO) that started operating in Nepal in 1995. It is committed to capitalizing on local initiatives for the sustainable management of renewable natural resources and to improving the livelihoods of resource-poor and marginalized people. 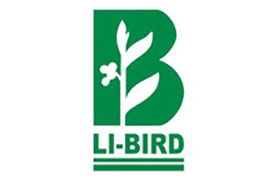 Over the past eighteen years, LI-BIRD has worked in partnership for development-oriented research in agriculture and natural resources management. It has contributed to the development of several innovative methodologies and approaches for participatory research and development, and has generated impacts that have enhanced the livelihoods of resource-poor farmers by helping to introduce appropriate technological and policy changes. LI-BIRD has been a pioneer in strengthening methodologies which use participatory plant breeding and participatory variety selection for crop improvement and community-based biodiversity management. Moreover, it has played an instrumental role in institutionalizing these approaches at the national level in Nepal. LI-BIRD has been recognised both nationally and internationally as a centre of excellence for its contribution in shaping national policy, and for developing and promoting good practices for in-situ on-farm conservation of agricultural biodiversity. Because it strives to take an impact-oriented approach and to always maintain professional accountability, it has become the partner of choice for farming communities and organizations engaged in research and development in agriculture and natural resource management.